As well as the United Arab Emirates, they come from America, South Africa, Australia, Germany, Canada, Iran, Iraq, India, Pakistan, Philippines, Russia to name but a few of the people that make up the eclectic population of this incredible country. 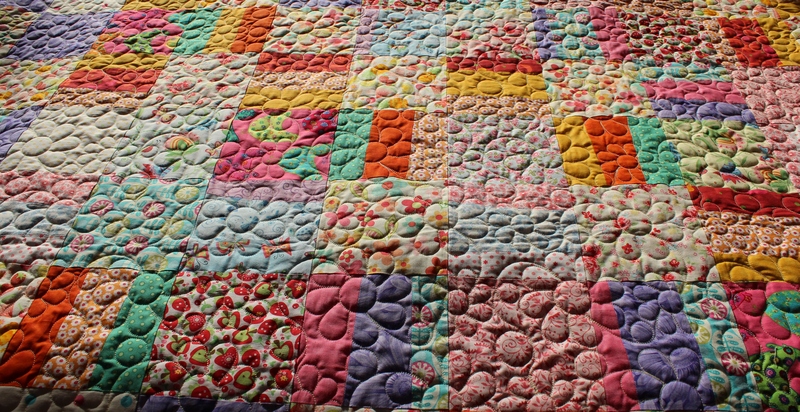 When I started making this quilt, almost three years ago, I was inspired by one of my Canadian friends to stack and whack some of my favourite fabrics. 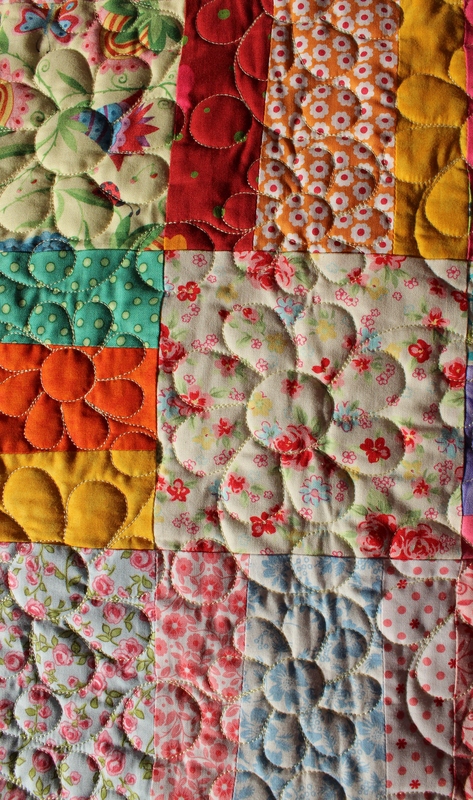 Some of the gorgeous fabrics came from previous projects, and some of them came out of my stash. 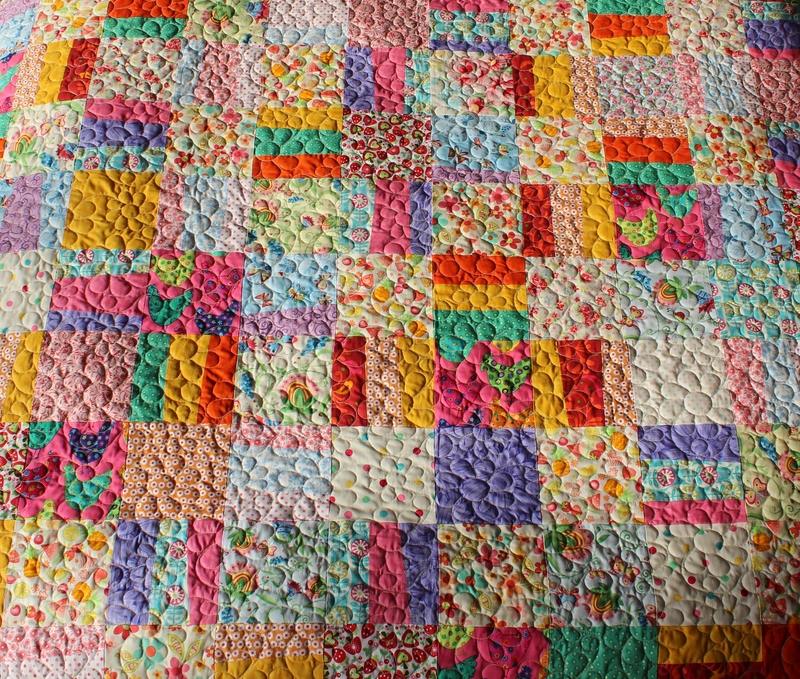 Many of my friends will know how much I love bright cheery colours (some of them are actually quite scared by my choice of combinations and will run away when I ask them what they think of them. But hey, we’re all different 🙂 ) so were not surprised when this quilt came into being. 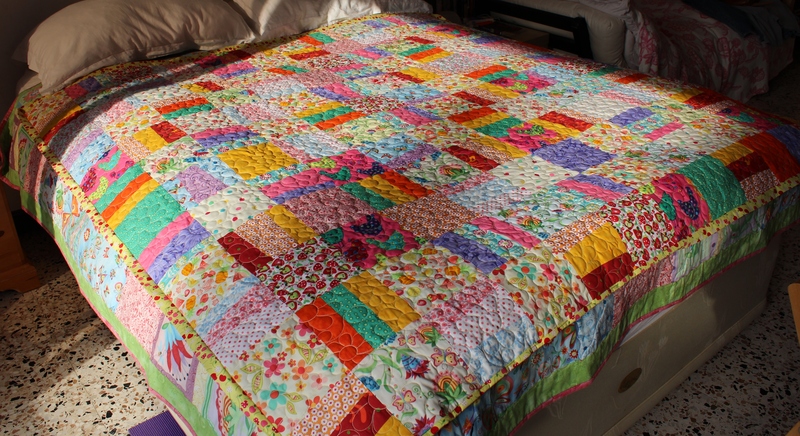 The name of my quilt is also inspired by two of my lovely South African friends. For those who do not speak Afrikaans (I have to mention here that I only know one or two words) the Afrikaans word Mengelmoeskardoes does not have an English equivalent but generally means a mash of colours. As for Melange, I just love the Frenchy sound of it. 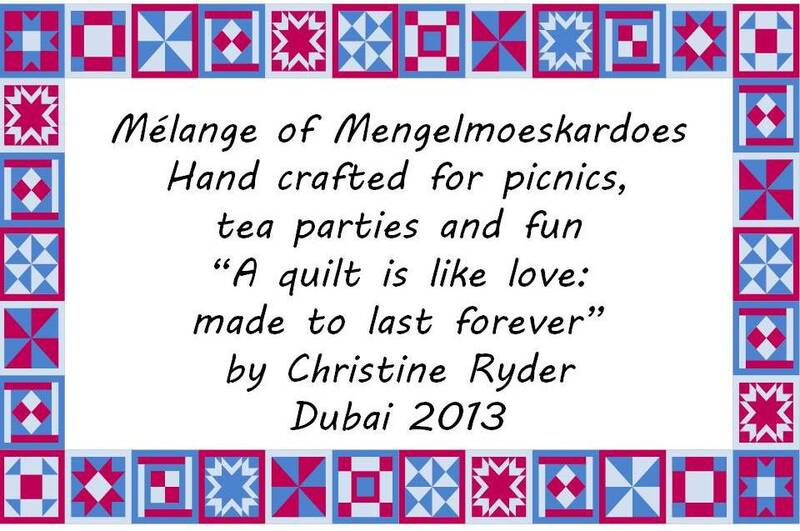 So I dedicate this post to all my wonderful eclectic Melange of Mengelmoeskardoes friends all over the world. Thank you for all your support, I love you all very much.